I used to chop garlic by hand, and I think deep down, I was hoping I’d cut my finger off just so I’d have an excuse to stop. 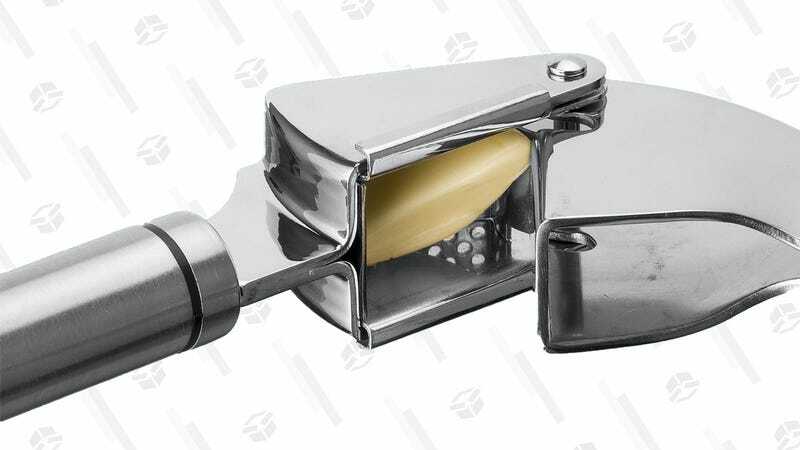 That all changed when I bought a garlic press, which minces (really, purees) a clove in a matter of seconds, no peeling required. This press from Greenco is down to $4 today on Amazon. It’s an add-on item, so I suggest buying lots of them to give away as stocking stuffers. Just note that pressed garlic is much more intense than chopped or minced garlic, so you may want to use one or two fewer cloves in some recipes.